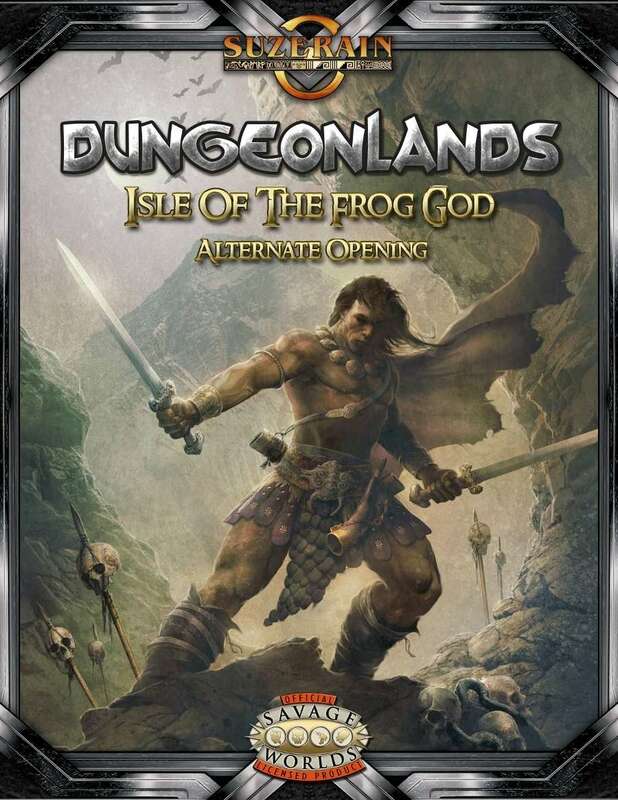 Pirates, a storm, a shipwreck on a mysterious island... oh, and a demonic frog who considers himself a god. Good luck with that. Guest writer David Jarvis presents an alternate opening for the Dungeonlands trilogy, crossing over from his swords-and-sorcery Totems of the Dead setting. Dangers abound where you hear the angel's song. It's time to face the music! These Heroic rank characters are designed to be a party of dungeon delvers in the Dungeonlands trilogy, but they can be player (or non-player) characters in any Suzerain setting you like. You'll want a copy of Totems of the Dead to make the most of this book.